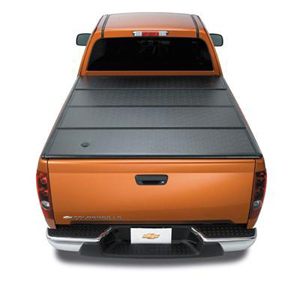 This tough, folding Hard Tonneau Cover stands up to rugged use while sheltering the load in your Colorado. It is lightweight, rustproof, non-corrosive, and lockable. It provides easy access to the truck bed by letting you flip the cover open from the front or the back.